How to navigate the conversation. Just because you’re older doesn’t mean you have to stop driving. We see so many distracted driving accidents from much younger people on phones or texting, and that’s not representative of how seniors drive. If you’re geographically close by, the best thing is to observe directly. In other words, go for a ride-along. Buckle up! Distinguish between serious signs of trouble and those that are less so. For example, confusing the gas with the brake is serious. Riding the brake is perhaps less serious. If a problem is serious, take immediate action. If it’s less so, observe over time, take notes and look for a consistent pattern. These facts will help when having a conversation. Problems turning, particularly with left turns. Often, older adults will start self-correcting, not driving at night, in bad weather and on freeways. My mom started going places by making all right hand turns. Praise these behaviors, but also take them as a sign that things might be changing. Know the basics on symptoms, diagnosis and treatment to help as you battle the disease. Osteoarthritis tends to get worse with activity, so Pugliese says most osteoarthritis patients will usually feel fairly good upon waking but often develop more pain and stiffness as the day progresses and they move their joints more. Naturally, osteoarthritis tends to impact older adults more. People who lead active lifestyles or engage in a lot of manual labor, such as construction workers, may experience the effects of wear on joints sooner than their more sedentary counterparts. If you’ve suffered a trauma to a joint, such as a bone fracture or other injury, that can also increase your chances of developing arthritis in a specific joint. Unlike osteoarthritis, rheumatoid arthritis is an autoimmune disorder that can affect more than just the joints. “Rheumatoid arthritis doesn’t start out as a structural problem,” Pugliese says. Rather, “it’s an immunologic problem,” meaning that the immune system goes a little haywire and begins attacking the body’s own tissue. This leads to swelling and inflammation that can cause significant pain. “When people get rheumatoid arthritis, what essentially happens is their immune system becomes activated and treats their joints as if they have infections.” Over time, that overactive immune response can lead to destruction of the tissues in the joint, which can lead to pain and a loss of mobility. Psoriatic arthritis is an inflammatory immune disorder that’s often associated with the common skin disease psoriasis. Lipstein-Kresch says that not every person who has psoriatic arthritis also has psoriasis, but having psoriasis puts you at greater risk for developing this condition that can cause significant pain in the joints and other immune responses throughout the body. People with psoriatic arthritis will often experience swelling of the fingers or toes, and sometimes certain bones can fuse to one another, making movement of the joint difficult or impossible. Gout is a type of arthritis that’s caused by a buildup of uric acid crystals in the joints, most often the joint at the base of the big toe. It can come on suddenly with severe pain and swelling and the joint may feel hot to the touch or tender. Gout tends to impact older people more, and those whose diets contain items that can elevate the levels of uric acid in the body, such as alcohol, sugar and meat. Certain medications and genetics may also play a role in whether you’re more prone to attacks of gout. With osteoarthritis, the simple cause is wear and tear on joints over time. As we age, our bodies lose some of the fluid that sits between the bones of the joints. As that fluid dissipates, the joint has less cushioning, creating pain and inflammation from the friction of bone-on-bone movement. With inflammatory arthritis conditions like rheumatoid arthritis or psoriatic arthritis, the cause is a problem with the immune system. Because the immune system begins to treat cells in the joints as though they were foreign invaders to the body, an inflammatory response is triggered that can lead to significant pain, deformity and disability. Pain, stiffness or swelling of the joints that gets worse with use. Deformity of the joints over time (bony growths in fingers or toes are common). Difficulty walking or muscle weakness. Osteoarthritis symptoms commonly occur in finger joints, the wrists, knees and hips, but most any joint can develop arthritis, especially if the joint has sustained a trauma or injury in the past. Swelling, pain or redness in one or more joints throughout the body (although symptoms usually are symmetrical). Joint stiffness and pain in the morning that takes a while to loosen up. Numbness or tingling in the extremities. If you experience any of these symptoms, be sure to see your doctor. Pugliese says that if you have rheumatoid arthritis, starting on the right treatment as soon as possible is important to improving your outcome. “As soon as the question pops into a primary care doctor‘s mind, ‘Is this inflammatory?’ Then we (rheumatologists) want to see the patient.” He says the American College of Rheumatology has set guidelines aiming to have every patient with rheumatoid arthritis “started on disease-modifying therapy within three months. That’s a pretty lofty goal when you think about the time it takes for someone to present to primary care and for that referral to go through and get the appointment. But we know that as soon as there’s inflammation, the process that causes the damage has started.” Starting the appropriate course of medications as early as possible can slow that progression and significantly delay the development of more severe symptoms and complications. If your doctor suspects that you have any type of arthritic condition, you’ll likely undergo a thorough physical exam. Most cases of osteoarthritis can be diagnosed based on the findings of a physical exam conducted by your doctor. You may also have some X-rays to look at how much space you have between the bones in symptomatic joints. “There’s no blood test for osteoarthrosis,” Pugliese says, but you may end up having some tests just to rule out an inflammatory arthritic condition such as rheumatoid arthritis or psoriatic arthritis. And it’s important to know that you can have osteoarthritis and another inflammatory arthritis condition such as rheumatoid arthritis at the same time. With inflammatory arthritic conditions like rheumatoid arthritis, the diagnosis can be a little more challenging in some cases, because autoimmune disorders aren’t always the easiest to pinpoint straight away. But your doctor will likely order certain imaging and blood tests to take a look at what’s going on. Currently there aren’t a lot of great drug options for people dealing with osteoarthritis, Pugliese says. “The big challenge with osteoarthritis is that there’s no medication that will stop or reverse the process.” You can take anti-inflammatory medications to help ease some of the symptoms, but the damage has been done and “the big thing is management.” For some patients, surgery, such as a joint replacement, is the best way to cope with an arthritic joint. For rheumatoid arthritis, the past 15 or 20 years have seen the debut of several new types of medications called biologics that have improved the outlook for many patients with the disease. These drugs target specific molecules that generate inflammation, and the newer drugs are offering some patients a much-improved prognosis. In addition to these newer drugs, many still take the older medications, such as methotrexate, that have long been used to treat rheumatoid arthritis. Some rheumatoid arthritis patients may also take steroids for a time, but Pugliese says many rheumatologists try to wean patients off those as soon as possible, because they can have some difficult side effects if used long-term. In some cases, joint replacement surgery may also be recommended. Lipstein-Kresch says many patients newly diagnosed with osteoarthritis will ask her whether they should be taking a dietary supplement to help alleviate some of their symptoms. “A lot of people ask about glucosamine (a natural compound found in cartilage) and turmeric (a spice thought to have anti-inflammatory properties) for osteoarthrosis, and the bottom line is that there’s no definitive study that shows that glucosamine is indeed effective for osteoarthrosis. The recommendations are that if you’re already taking it and you think it’s helping, then stick with it. But starting it is probably not something I’d do ordinarily unless I have no other options,” she says. Some people say that adding turmeric to their diets has helped ease some of the symptoms of osteoarthritis. For anyone dealing with this disease, Lipstein-Kresch recommends “eating healthy” and exercising as good ways to help manage the disease. In addition, if you have osteoarthritis and you’re carrying around a few extra pounds, Pugliese says one of the best things you can do is lose some weight. “Even though we can’t give you a pill to cure it or fix it, there are a lot of things patients can do to make it better and easier on themselves, one of which is weight management.” Dropping just a few pounds can make a difference, because “every pound of weight a person carries translates into 4 or 5 pounds of pressure on the joint. If you extrapolate even a 20-pound weight loss for an obese person, that person may be taking up to 100 pounds of pressure off each of their weight-bearing joints,” which can translate into less pain when moving. For patients with rheumatoid arthritis, it’s important to keep your doctor apprised of how you’re doing and whether your treatment protocol is helping. Rheumatoid arthritis is a chronic, autoimmune condition that can’t be cured but can be managed. You need to speak up if you’re having difficulties, Pugliese says. “Don’t be afraid to ask for help and tell your doctor if you don’t feel well. A lot of times if you have a 30-year-old, otherwise healthy person, their mindset is, ‘I’m too young to have arthritis. I better just deal with it.’ But we don’t want people letting it go. We would much rather have more people in our office, so we can catch those people before they go on to get damage,” which can occur outside of the joints. Because rheumatoid arthritis is a systemic, autoimmune condition, sometimes the disease can affect the internal organs, such as the heart, kidneys and lungs and it’s important to stay on top of your health as you manage this chronic condition. 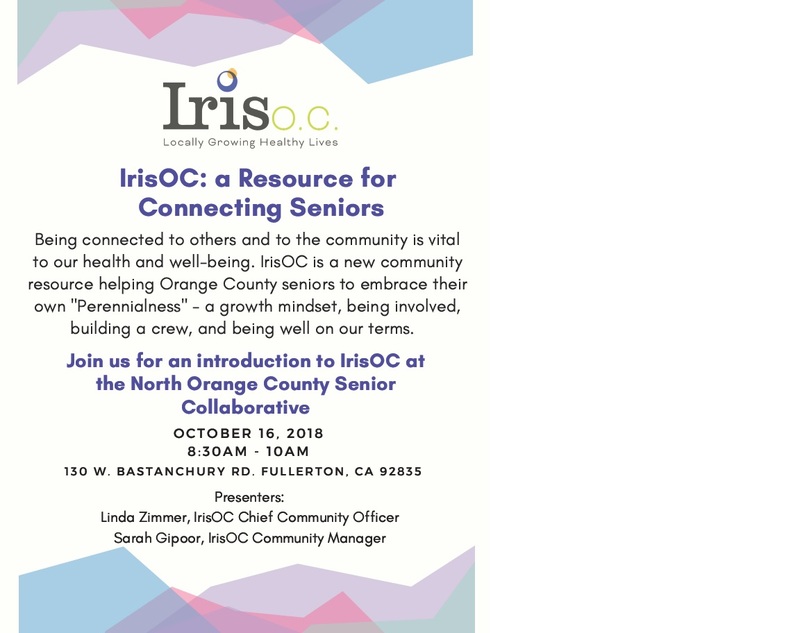 Good Afternoon Friends and Members of the North Orange County Senior Collaborative ~ this is a friendly reminder that this month’s Educational Forum for Professionals is tomorrow morning at 8:30 a.m. and offers valuable information and suggestions that you can use when working with older adults. 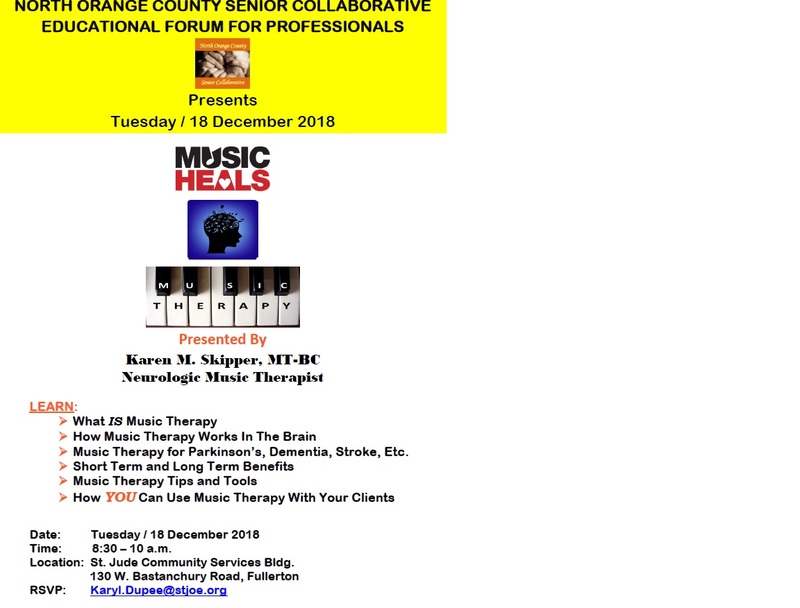 “Music Heals” explores multiple ways that music therapy can be utilized with older adults. Please feel free to park in the parking structure and I will be happy to validate your parking. Looking forward to seeing you tomorrow morning! The oldest age group is growing, but its supply of psychological support is dwindling. By Katelyn Newman , Staff Writer | Oct. 11, 2017, at 12:01 a.m. Contrary to conventional wisdom, an increase in age can lead to an increase in happiness. In fact, older adults tend to be more satisfied with their lives than their younger peers. But, for those who need it, limited supply of and access to proper geriatric psychiatric treatment leave many older adults’ mental health issues underdiagnosed and thus undertreated. One in four adults ages 65 and older experiences a mental health problem such as depression, anxiety, schizophrenia or dementia, according to the American Psychological Association. And people 85 and older have the highest suicide rate of any age group, especially among older white males who have a suicide rate almost six times that of the general population, according to the National Council on Aging. The issue of access to mental health care treatment will be further compounded as baby boomers – who carry a higher predisposition to suicide than earlier generations – enter the older adult stage of life. The number of Americans between the ages of 65 and older is projected to double from 46 million to more than 98 million by 2060, according to the American Psychological Association. But there’s a positive side to this ledger. More health systems across the country are merging mental health care into primary care visits, which older people are more likely to take advantage of, says Dr. Yeates Conwell, director of the geriatric psychiatry program at the University of Rochester. “Older people … are not going to go to a mental health center or a mental health provider, but they will more likely accept treatment from their primary care practitioner,” Conwell says. Yet access to proper mental health care for older adults is hindered by modern culture perpetuating the stigmas and misconceptions of ageism and mental health issues; social isolation; high health care costs; and a dwindling supply of geriatric caregivers for America’s growing older population. Modern culture in America values the new and, in the process, pushes the old aside. “Ours is a culture that values innovation, which is new knowledge, and devalues wisdom, which is old knowledge or eternal knowledge – knowledge that doesn’t change every five years when a new iPhone comes out,” says Dr. Renee Garfinkel, a clinical psychologist, author and radio host. By adapting this mindset, experts say society could be contributing to social isolation and misconceptions surrounding older adults’ mental health. “When older people incorporate the view that they are ‘over the hill,’ that they are a burden on their families or on their communities, then that’s a very dangerous situation,” Conwell says, as social isolation has been proven to be as bad for one’s health as smoking or lack of exercise. The stigma of ageism includes negative attitudes, stereotypes and behaviors directed toward older adults based solely on their perceived age. In other words, as people get older, others assume that they have or are increasingly susceptible to mental or physical impairments that make them no longer able to contribute in a way they once were, decreasing their value to the community. Further, mental health services may be underutilized by older patients as they may be in denial, may not have adequate insurance coverage, or their other physical chronic conditions may take precedence during a primary care visit, leaving their mental health unchecked. “I think that time is an issue for practitioners,” says Eric Weakly, chief of state and community programs for the western branch of Substance Abuse and Mental Health Services Administration, a division of the Department of Health and Human Services. “If you’re coming and you only have maybe 15 minutes, and you have a person who has multiple chronic conditions – they may be presented with cardiac conditions or diabetes or other things – of the list of conditions, depression, anxiety or another mental illness may not be first on the list when they’re doing their screens,” Weakly, a social worker, continues. And, while the number of older adults with mental health disorders is expected to nearly double by 2030, the number of geriatric psychiatrists and psychologists is projected to continue its decline, resulting in less than one geriatric specialist per 6,000 patients with mental health and substance use disorders, according to a 2013 Dartmouth University study. More than 20 percent of adults aged 60 and over suffer from a mental or neurological disorder, and the most common neuropsychiatric disorders in this age group are dementia and depression, according to the World Health Organization. Dementia – including Alzheimer’s disease, its most common form – affects about 5 percent of individuals between 71 and 79 and 37 percent of the population above the age of 90, according to the American Psychological Association. But, as Garfinkel explains, growing older doesn’t mean you will suffer from a mental health issue. Rather, a longer lifespan exposes a person more, both in terms of mental and physical conditions, which may affect a person’s overall psyche. While depression is not a consequence of getting older, the misconception that it is – either due to bereavement over lost loved ones or the physical pains tied to aging – leads to underdiagnosis and undertreatment by health care professionals and older adults themselves who may not recognize the associated physical symptoms. A combination of the individual and the people around him or her making incorrect assumptions about depression as a normal part of aging further complicates diagnoses, Conwell says. “Older people tend in general to be more satisfied with their lives than middle-aged people, and have lower rates of syndromal depression, even though depressive symptoms may be present. But when they are, clinical depression is a syndrome that’s made up of a bunch of different symptoms – sadness is only one of them,” Conwell continues. Senior patients may not bring up emotional symptoms, though, opting instead to describe physical ones such as loss of energy, poor sleeping habits, loss of appetite and trouble concentrating, Conwell says, all of which are common with other chronic medical conditions in later life. Yet mental health correlates with physical health, according to the World Health Organization. A 2016 study evaluating successful aging from ages 21 to 100 showed that mental health improved with increased age, contrary to the perceived stigma of ageism. “What we found was that with age the physical health declined, as expected, the cognitive function declines in later life, but the mental health improved with aging in the sense that people seem to get happier, more satisfied, less depressed, less stressed out, in later life than when they were younger,” Jeste, co-senior author of the study, says. As a whole, the 65 and older age group tends to be happier than their younger peers, with reportedly fewer mental health disorders except for dementia as they age. Like all generations, older adults experience positive mental health when they perceive that they have social support and that they add value to their communities, says Helen Kivnick, a professor of social work at the University of Minnesota. Yet, she continues, there are fewer social supports and opportunities available for this older generation than for any other stage of the life cycle. Community and family support decline later in life, and loneliness is one of the biggest concerns for older people. But living alone does not mean that a person of any age is lonely, says Dr. John Cacioppo, a professor of psychology at the University of Chicago. Every day, 10,000 Americans turn 65 years of age or older, Cacioppo says, so it should be no surprise that more are living alone as getting older increases the likelihood that one spouse will pass away before the other. As of 2015, there were nearly 16 million adults ages 60 and above living alone in the U.S., according to the Administration for Community Living’s AGing Integrated Database. “When it’s perceived isolation instead of objective isolation, that’s called loneliness,” says Cacioppo, who is also the director of the university’s Center for Cognitive and Social Neuroscience. Perceived isolation accounts for a 26 percent increase in mortality through biological and behavioral processes. Living alone could lead to autonomy or independence with the right social support system. 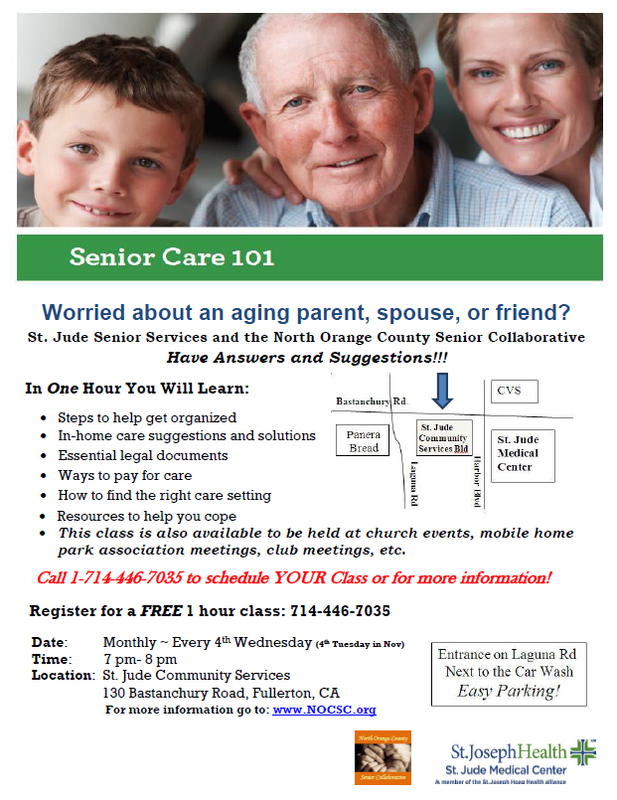 Maybe you’re ready to form new relationships in new groups apart from the family, neighbors or community you spent years growing up with, or dependency forces you into assisted living as isolation is not going to work, Cacioppo says. On the other hand, it could lead an individual to feel uprooted. The costs of health care – especially mental health care – prevent people from all age groups from receiving the treatment they need when they need it. For older adults, though, the uncertainty of finances to cover health care costs is an enormous stressor, Garfinkel says. “It is for younger people, but the older you get the fewer options for maneuvering and figuring out your way around it that you have,” she says. In 2016, Congress passed the $6.3 billion 21st Century Cures Act, which included the first major mental health care and substance-abuse legislation to be passed in 20 years. While the mental health portion of the bill did not include much extra funding compared to existing levels, it laid the groundwork to address mental health and requires health insurance companies to cover more mental health treatments. Still, Jeste says, private insurance companies have found loopholes to avoid covering mental illness, making it less affordable even for patients that have Medicaid or Medicare insurance. Because of this restrictive coverage, physicians may not prescribe a patient the psychotherapy they need because it does not come with the same reimbursement as prescription drugs. “It becomes a vicious circle,” Jeste says. People who need mental health care don’t receive it, their condition gets worse, and, as they get older, their access to care declines further as there aren’t enough physicians in the geriatric field to provide that care. Some primary care health systems are attempting to tackle the stigma of mental health by integrating mental health care with physical checkups. Intermountain Healthcare, with hospitals and clinics throughout Utah and southeast Idaho, is trying to normalize team-based primary care in which a primary care physician has a team of experts to call upon to check on a patient depending on both physical and mental screenings during a regular doctor’s appointment. Integrating the two establishes the connection between physical and mental health, says Dr. Brenda Reiss-Brennan, head of the health system’s mental health integration program. Doing so has saved each patient $115 a year, Reiss-Brennan says, from more efficient use of specialists, earlier detection and treatment, and follow-up care plans to more efficiently use all available resources. And the federal government, under the U.S. Department of Health and Human Services’ Substance Abuse and Mental Health Services Administration and Health Resources and Services Administration, is working to bring mental health care information into the primary care setting, says Weakly of the Substance Abuse and Mental Health Services Administration. “We know that most older adults are going to go to primary care physicians first,” Weakly says, so fusing behavioral health into primary care will get necessary information to physicians. Practitioners need to also look at care in different ways, Weakly says, such as going to where people are instead of expecting them to come into the office for therapy or treatment. Editor’s Note: Growing old in America today looks far different than it did 10 years ago. Older people are working throughout their golden years, are living longer, and many are choosing to age in place. As baby boomers hit the 65 and older mark, the share of seniors in the U.S. is rising drastically. This series explores what it’s like to age in 21st century America, and the issues officials must address to keep up with the nation’s changing demographics and culture. U.S. News determined which states are best serving their growing senior populations in a new Best States for Aging ranking.